There were many wonderful things going on in the district this week. I would like to begin by congratulating Cañon City High School technology teacher Mike Geesaman for once again guiding his students to examples of excellence on a nationwide basis. This year fourteen of his program participants earned awards at the ADDA National Computer Design Contest. These students include Gia Zhuang, Kayli Gauna, Olivia Eurek, Whitney Bohm, Joshua Jones, Tradce Hildebrand, Kendra Stapleton, Kelsey Miles, Connor O’Rourke, Axel Bonney, Brittney Pearson, Kacey Masse, Mikayla Brewer, and Kyle O’Rourke. Gia Zhuang, Kayli Gauna, Joshua Jones, Kelsey Miles, and Axel Bonney each took first place in their respective division! I also want to take a moment to commend Washington Elementary School custodians Janet Wahlborg and Cathy Cornella for going above and beyond the call of duty last Tuesday evening in their accommodating the many voters who turned out for the presidential caucus at their facility. Our school buildings are owned by our taxpayers, and so we always open our doors to events such as this. In the aftermath I have heard nothing but thanks and positive praise from those who attended for the outstanding hospitality these ladies displayed and their willingness to address matters of concern as they arose that evening. I have no doubt Tuesday’s event upset their work routine and want to thank them for the professionalism they displayed in the course of their work. 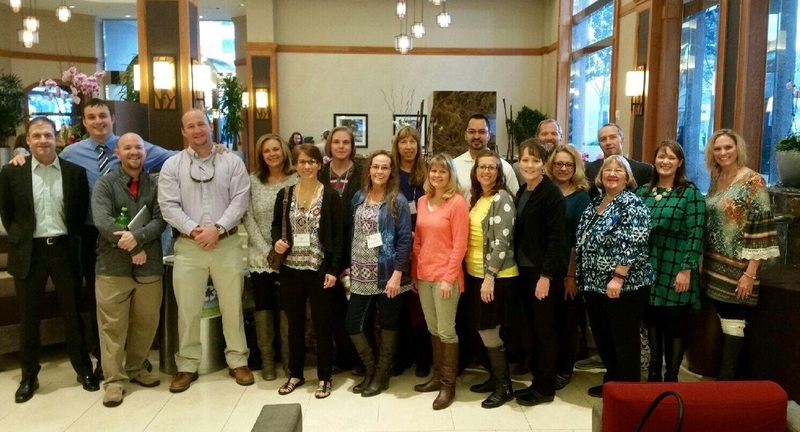 Finally, late last week quite a number of Fremont RE-1 and RE-2 School District staff members were able to attend the 2016 Colorado Education Initiative Healthy Schools Summit in Denver thanks to the hard work of regional wellness coordinator Kristi Elliott and her staff. Our educators were given numerous opportunities to learn from the best practitioners of school health and wellness in Colorado. While there we also witnessed Lincoln School of Science and Technology staff member winning an Excellence Award, and Cañon Exploratory and Washington Elementary schools each earning Promising School recognition. Increases in student achievement come as a result of excellent classroom instruction coupled with educational organizations that focus on the health and well being of all their students. It has been a pleasure to observe the Cañon City School District making great strides on both of these fronts. The Cañon City School District had quite a presence at this year's CEI Healthy Schools Summit in Denver! Because of our limited financial resources we continue to seek creative ways to fund educational improvements through grant acquisition processes. Last Thursday morning I had the opportunity to work with our Cañon City High School counseling staff, principal Bret Meuli, and a regional Individual Career and Academic Planning (ICAP) specialist to brainstorm ideas surrounding our application for a Colorado Counselor Corps planning grant. Receipt of this grant would provide resources to more effectively implement an ICAP program, allowing students to more deeply explore and prepare for career pathways they'll endeavor after graduation, but while still in school. This grant application is due by the end of the day March 15th. Meanwhile, Cañon City Schools director of student services Dominic Carochi and school psychologist Jamie Murray continue their hard work on a submission for a Colorado Early Literacy Grant. This proposal is also due March 15th, and their work is focused on securing an excellent core reading resource for our elementary teachers, training them to use it with fidelity, and training special education and Title I staff to implement research proven interventions to support our most struggling readers. Without acquisition of these grant funds it will be much more difficult for us to acquire the resources we need and to accomplish these instructional improvements around reading instruction. If you are not reading this post on my actual Echoes from Cañon website you will have to type this link in to your browser to view the video. CCSD board members and I had the opportunity to chat with Senator Grantham and Representative Wilson while attending last week's CASB regional day at the capitol event. On Monday I had a series of routine meetings, a principal evaluation session, and a Facilities Corporation Board meeting where we worked to develop an investment policy for dollars we are charged with managing. On Tuesday I attended my monthly interview at KRLN Radio, a superintendent advisory council meeting, and then met with some folks about developing procedures to keep family custody disputes off our campuses. On Wednesday I went to the Colorado Association of School Boards Regional Day at the Capitol with board members Larry Oddo, Lloyd Harwood, and Mary-Kay Evans. On Thursday I trained gifted and talented education staff on the use of our evaluation calculator, met with a number of CCHS staff members about various issues, and attended another mid-year principal evaluation session. On Friday I was in Denver attending the Colorado Education Initiative Healthy Schools Champion Award event. This week I will only be in the office on Monday because I have a wonderful opportunity to take personal time to connect with a long time friend and mentor later in the week. I have an important meeting scheduled first thing in the morning on Monday, then lots of time blocked off to write counselor corps grant narrative. We will also be holding a final calendar committee session on Monday afternoon, followed by yet another Facilities Corp Board meeting that evening. On Friday at a Great Education Colorado gathering a group of bipartisan leaders announced they will begin a campaign to get a measure on the ballot in Colorado this fall asking voters to ease an income cap on state government. If passed, the measure's backers say revenues destined to be sent back to taxpayers as TABOR refunds could be spent addressing drastic transportation and education needs. They also talked about possibly putting forth a question that would make it more difficult to change the Colorado Constitution in the future. The timing of this announcement coincides with several of our board members and I having just attended a Joint-Joint JBC-Senate and House Education committee meeting where we learned about the constitutional constraints of the Gallagher and TABOR Amendments and how they limit state revenues, while Amendment 23 tugs against them with requirements to fund education at a base level by growing at the rate of inflation plus student growth on an annual basis. Because this issue is likely headed to our statewide election ballot in November I want to spend some time in the next few months doing my best to explain the interplay of these constitutional provisions, how they relate to overall education funding in Colorado, and especially how they impact education finance right here in the Cañon City School District. As superintendent of schools I don't feel it is my role to encourage anyone to support or fight against this potential ballot question. However, I would like to do my best to paint a factually clear picture for all of those who will vote on this question, specifically regarding what is happening in our schools as a result of this constitutional tug-of-war. I encourage each of you to follow along and learn all you can about this as it moves forward, and I look forward to personally engaging with each of you about it.